High performance 2U Rackmount NAS for backup, file-serving, collaboration and virtualization environments with dual 10GbE included. ReadyNAS with its 5 levels of data protection protects your data against human error, catastrophic events and silent data corruption. 5 years warranty and next business day hardware replacement guarantee worry-free IT. 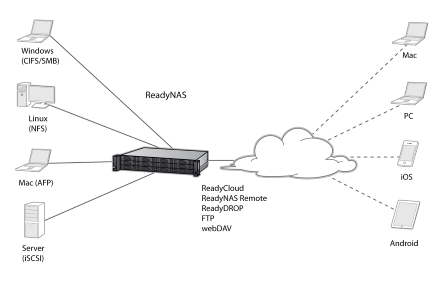 And "ReadyCLOUD" private cloud provides file sharing and sync without boundaries. Introducing the industry's first Intel Xeon Enterprise E3-1245v5 Quad-Core Hyper-Thread processor based 10Gig NAS. NETGEAR brings powerful enterprise computing to the SMBs with 16GB of baseline DDR4 ECC memory, up to 120TB capacity, and an innovative ReadyNAS OS. 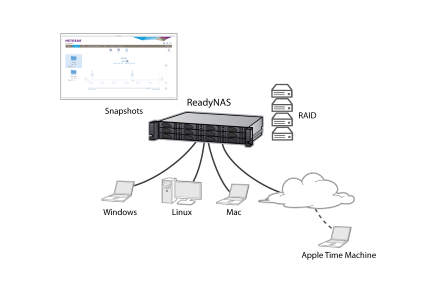 The ReadyNAS 4312X and 4312S is the ultimate choice for data backup, file sharing, disaster recovery, virtualization and high throughput computing for the SMBs. ReadyNAS 3312 and 4312X are best-in-class high performance network attached storage systems. The RR4312X has two built-in 10 Gigabit Ethernet interfaces to further meet the storage demands of next generation business networks. Featuring an architecture powered by blazing fast quad-core 5th generation Intel Xeon processors along with DDR4 ECC memory that is expandable up to 64GB, the RR3312 and RR4312 are the no compromise, high performing data storage systems of choice for businesses that need the very best in capacity, performance and security. 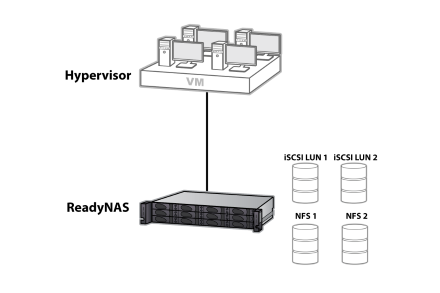 Designed specifically for the unique needs of business users, RR3312 and RR4312X are virtualization-ready with iSCSI support, thin provisioning capability and VMware certified. 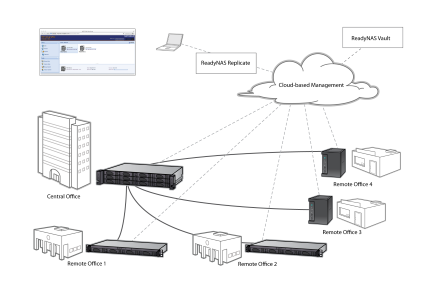 To maximize storage capacity, ReadyNAS 3312 and 4312X feature two SAS interfaces for expansion chassis support. Expansion chassis from NETGEAR, EDA2000 and EDA4000, offer 12 and 24 bay expansion respectively. Download the NETGEAR ReadyNAS 3312/4312X Series Datasheet (PDF).